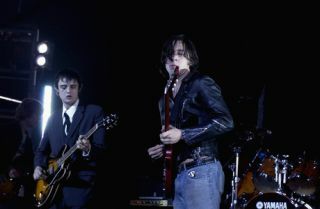 The August bank holiday is shaping up to be a busy time for Gary Powell, as it has been confirmed the Libertines sticksman will perform four sets across two days at Reading and Leeds. Powell will back the reformed indie legends at the twin-site festival spectacular (Friday at Leeds and Saturday at Reading), and he's now signed up to play with his new band The Invasion Of on both days as well. The drummer recently checked in with Rhythm and told us that he's yet to listen to any of The Libertines' material ahead of the highly-anticipated shows. Let's hope he gets his iPod on sharpish. To read the full interview, head here.